Situé dans le district de Songjiang, l'hôtel JJ Inns Shanghai Songjiang University Town propose des chambres avec connexion Internet gratuite et télévision par câble. Il dispose d'un restaurant et d'un parking gratuit. Toutes les chambres sont dotées de la climatisation et d'une salle de bains privée avec eau chaude 24h/24. Un plateau/bouilloire et des chaussons sont fournis dans chaque chambre. Un coffre-fort, une bagagerie et des installations de centre d'affaires sont disponibles. Le restaurant sert des plats et des boissons. Le JJ Inns Shanghai Songjiang University Town Hotel se trouve à 5 minutes à pied de plusieurs lignes de bus. Il est situé à 50 minutes en voiture de l'aéroport international de Shanghai Hongqiao. Boasting fitness and leisure facilities, Days Hotel Honglou occupies a prime spot in the centre of Songjiang Old City. It offers rooms with cable flat-screen TVs and free wired internet. 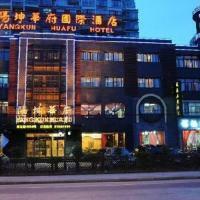 Honglou Days Hotel is within a 20-minute drive from Xujiahui Financial District and Hongqiao Airport. 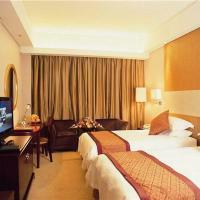 It is 45 minutes’ drive from Pudong International Airport and provides free parking. Featuring over-sized windows, modern rooms have plenty of natural light. They come with a minibar, sofa and a well-equipped bathroom with a bathtub. For leisure, guests can enjoy relaxing massages or the use of a sauna and karaoke rooms. The hotel also houses a business centre, tour desk and a salon. Fine Chinese dining is available in the elegant setting of YueBinXuan while Honglou Western Restaurant offers breakfast buffets. There is also a lobby lounge and 24-hour room service. Featuring a modern glass facade, this stylish lakefront property offers well-designed rooms with plant motifs and a large bathroom with a skylight. It provides concierge services and free bike rental. Overlooking Sheshan Mountain and the scenic Moon Lake, the spacious suites feature a canopy bed, wooden flooring and unique floral prints. They have free Wi-Fi, private balcony and a cable flat-screen TV. Situated within Songjiang’s Moon Lake Art Park, Homa Moon Lake Hotel is just 500 metres from Sheshan Forest Park. It is 24 km from Hongqiao Airport and 35 km from Shanghai Railway Station. 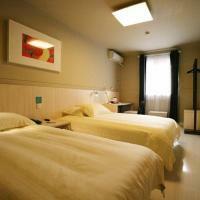 Guests can enjoy spa services and the use of a sauna and karaoke rooms. The property also houses a business centre, an art gallery and free parking facilities. Fine Chinese dining, a lounge and a café are available at Homa. It also provides buffet breakfast and room service. Located in Songjiang District, Shanghai Newchalon Hotel is a 5-minute stroll from Songjiang University Town Subway Station (Line 9). It offers a shop, business centre, 2 dining options and free wired internet access. Shanghai Newchalon Hotel is a 15-minute drive from Happy Valley and Chenshan Botanical Garden, 20-minute drive from Songjiang Railway Station. Hongqiao International Airport is a 35-minute drive away. Tastefully decorated, the elegant guestrooms feature clear windows offering ample natural lights. Each unit is fitted with a flat-screen cable TV and safety deposit box. En suite bathrooms have bathtubs and free toiletries. Staff at 24-hour front desk can assist with luggage storage and currency exchange services. Leisurely afternoon can be spent on the sun terrace or in the garden. SAKURA serves a fine selection of Japanese barbecue dishes, while international dishes are available at Chalon restaurant. Shanghai Qi Shan Hotel is located in the Chedun Town of Songjiang District, a 15-minute drive from Minhang Development Zone metro station. The 4-star hotel boasts a hot tub, a nightclub and cosy rooms with a personal computer. Just beside 320 National Highway, Qi Shan Hotel is a short 5-minute drive from West Shanghai Golf Club and a 20-minute drive from the Square Pagoda of Songjiang. It takes 45 minutes by car to The Bund. Guests can pamper themselves with relaxing massages, rent a car to explore the surrounding areas, or keep up to date with news at the business centre. Free parking and sauna facilities are also available. Free Wi-Fi is provided in the public areas. Spacious and bright, all air-conditioned rooms are fitted with a minibar, a flat-screen TV and a safety deposit box. En suite bathrooms include free toiletries, shower facilities and bathrobes. Guests can enjoy Chinese and Western cuisine at the hotel’s 2 restaurants. 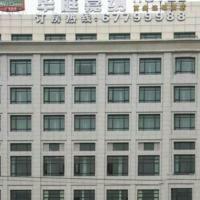 Shanghai Clovelly Garden Hotel is situated a 9-minute drive from Qibao Old Town. It boasts an outdoor pool, a squash, tennis court and accommodation with 24-hour room service. Free internet access is provided. Located 2.1 km from Songjiang Xincheng Metro Station (Line 9), Clovelly Garden Hotel is 14.2 km from Shanghai South Railway Station. Hongqiao Airport is 15.2 km away. The guestrooms feature modern interiors and plenty of natural lights. Each unit comes with a minibar, wardrobe and ironing facilities. En suite bathrooms have bathtubs and free toiletries. Hairdryers are available. Guests can take a stroll in the garden, play a game of table tennis or billiards, or use the facilities at the business centre. Laundry, dry cleaning and ironing services are provided. 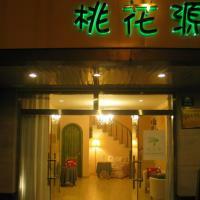 The spacious Chinese restaurant serves a fine selection of local dishes as well as breakfast buffet. 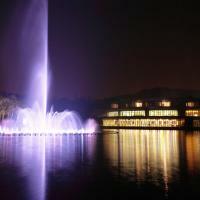 In Songjiang District, Dazhong International Conference Hotel is a 10-minute drive from Sheshan Mountain Flower Garden. Featuring European décor, the 4-star property houses a tennis court, shop and accommodations with free Wi-Fi. Dazhong International Conference Hotel is 16 miles from Hongqiao Airport and Train Station, 23 miles from Shanghai Train Station. Pudong International Airport is 39 miles away. Tastefully decorated, the elegant guest rooms feature classic furniture and stripe or flowery prints. Each well-furnished unit is equipped with a cable TV, minibar and safe. The attached bathroom has shower facilities and bathtub. Guests can ride a bike to explore the surroundings, or play a game of pool. Leisurely afternoons can be spent on the grounds. For anyone who likes singing, there are karaoke facilities available. The Chinese restaurant serves a fine selection of local dishes. 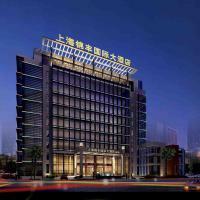 Shanghai Waltchana Business Hotel is in Songjiang District, a 10-minute drive from Songjiang University Town subway station. It features karaoke facilities, massage treatments and cozy rooms with free wired internet and computer. On-site parking is free. Waltchana Hotel is a 6-minute drive from Tesco Supermarket and a 15-minute drive from She Mountain. It takes 40 minutes by car to get from the hotel to Hongqiao International Airport. All rooms are equipped with a flat-screen TV, a writing desk and an electric teakettle. Private bathrooms include either a bathtub or shower facilities. Free toiletries, hairdryers and bathrobes are also available. The hotel has a cash machine, as well as laundry and dry cleaning services. The 24-hour front desk provides safe and luggage storage for guest convenience. Delicious Chinese dishes can be enjoyed at the hotel’s on-site restaurant. Located in Songjiang Rongbei Industrial Area, Green Tree Inn Songjiang New City Business Hotel offers simple yet cosy accommodation with free wired internet. Free Wi-Fi is available in all areas and on-site parking is free. Green Tree Inn Songjiang New City Business is an 8-minute drive from Songjiang Xincheng Subway Station (line 9) and an 11-minute drive from Central Park. Thames Town is about 25 minutes' drive away. It takes 30 minutes by taxi to Hongqiao Airport. All air-conditioned rooms are fitted with a writing desk, an electric kettle and a flat-screen TV with cable channels. En suite bathrooms include free toiletries, hairdryers and shower facilities. The 24-hour front desk offers safety deposit box and luggage storage for guests’ convenience. Dry cleaning and room services are also available. Guests can enjoy Chinese breakfast at the hotel’s on-site restaurant. A variety of international flavours can be enjoyed nearby within walking distance. A 5-minute drive from Jiuting subway station, Greentree Inn Shanghai Jiuting Street Express Hotel features simple yet cozy rooms with free wired internet. Minhang Sports Park is a 20-minute drive away. Greentree Jiuting Street is 3 miles from Shanghai South Train Station and a 25-minute drive from Hongqiao Airport. People’s Square and The Bund in central Shanghai is a 50-minute drive away. All air-conditioned rooms have a desk, a sitting area and a cable TV. Private bathrooms include free toiletries, hairdryers and shower facilities. The staff at the tour desk can help organize sightseeing trips. 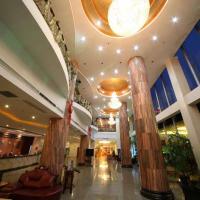 The hotel also has several meeting rooms and a 24-hour front desk with luggage storage, fax/photocopying and safe. A variety of Chinese restaurants can be reached nearby within walking distance of the hotel. 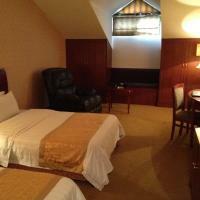 A 10-minute walk from Sheshan Forest Park, Secret Stream Inn features clean and cosy rooms with free wired internet. Chenshan Botanical Garden is a 5-minute drive away and Yuehu Sculpture Park is a 10-minute drive away. Each room comes with stylish arches open onto well-decorated sleeping areas. Offering either mountain views or garden views, all rooms include a seating area, a flat-screen TV and a writing desk. Secret Stream is a 35-minute drive from Shanghai Hongqiao Airport and a 1-hour drive from People’s Square in the city centre. 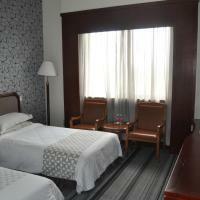 The hotel provides car rental facilities, a tour desk and laundry services for guests’ convenience. Luggage storage, safety deposit box and daily newspapers are provided at the 24-hour front desk.